Between now and the end of next year, urban neighborhoods from Brickell to Midtown Miami will see the completion of several signature mixed-use projects. Yet, as a result, Miami’s urban core is going to experience an oversupply and high vacancy rates in the retail, multifamily and office markets, according to a recent CoStar report. The report, prepared for the Commercial Industrial Association of South Florida and presented at the trade group’s event earlier this week, shows the retail vacancy rate will rise from 4.6 percent in 2019 to 5.4 percent in 2020, when 700,000 square feet of new retail space is expected to be completed. By contrast, between 2015 and 2018, developers added about 600,000 square feet of retail space. Office demand and supply are on equal footing in 2019 with 200,000 square feet of space built and leased. But the supply will skyrocket with 600,000 square feet of new space added by the end of 2020 even though the demand is for only 100,000 square feet next year, according to CoStar’s findings. And despite South Florida’s booming population growth, the supply of multifamily units is outpacing demand in Miami’s urban core. The report shows roughly 1,100 apartments are being completed in 2019 when the demand is for 600 units. In 2020, 800 more units will be added when the demand is just below 400 units. The trends will have a negative impact on vacancy rates and annual rent growth. For instance, the retail vacancy rate will rise from 4.6 percent in 2019 to 5.4 percent by the end of 2020, the report states. Annual retail rent growth peaked at 7.9 percent in 2014. In 2019, the rate will be 2.1 percent and 1.4 percent in 2020, according to CoStar. Currently, the multifamily vacancy rate is about 6 percent, but will climb to nearly 8 percent next year, while annual rent growth is stagnating at 1 percent for 2019 and 2020. Annual rent growth for multifamily peaked at 2.9 percent in 2015. Office annual rent growth will dip from 2.8 percent this year to 1.7 percent in 2020. CoStar predicts the vacancy rate for office will go from 5 percent this year to 11 percent next year. After the findings were presented at the trade group’s event, a panel of real estate experts offered bullish outlooks for retail, multifamily and office development in Miami’s urban core. 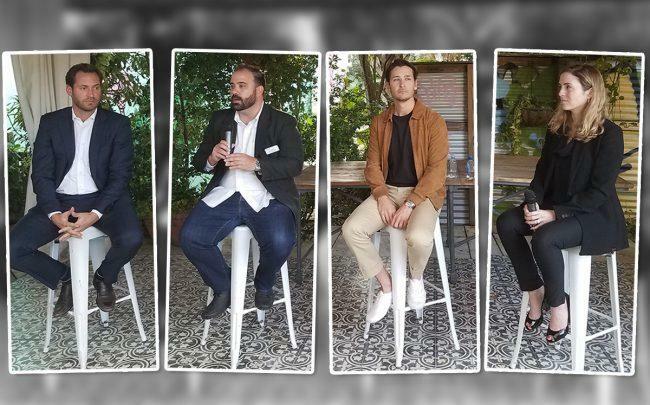 Jon Paul Perez, vice president of Related Group and a panelist at the event, noted that some neighborhoods, like Wynwood, where his company is building micro-unit apartment buildings, are not competing with the other submarkets in Miami’s urban core. “Wynwood is its own submarket and it won’t be affected by what goes on in other submarkets,” he said, adding that the combined number of apartments and commercial spaces under development in the neighborhood is still relatively modest. “You are talking about a total of about 400,000 square feet of new office and 400 new [apartment units] in Wynwood,” Perez said. Joe Furst, managing principal of Place Projects, noted that the fact real estate investors like Sterling Bay and JPMorgan Chase are building projects in Wynwood is a sign the market is getting stronger. “To be able to attract that type of quality, blue-chip investor is where this is going,” Furst said.